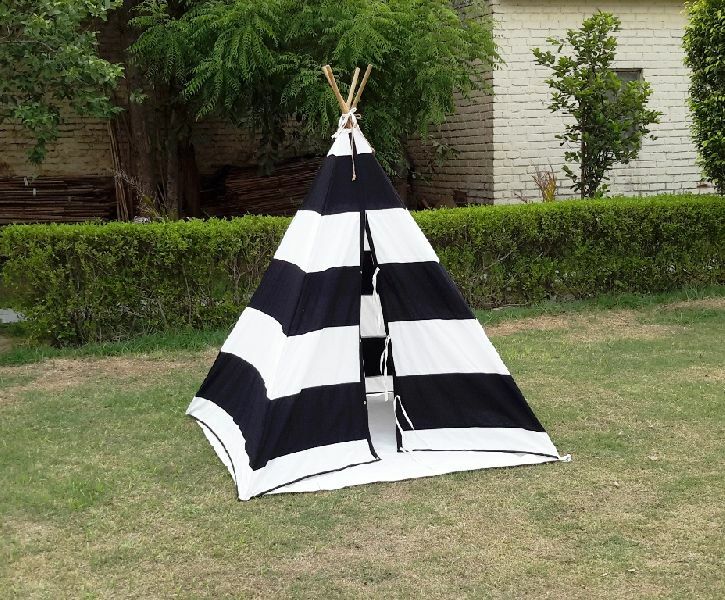 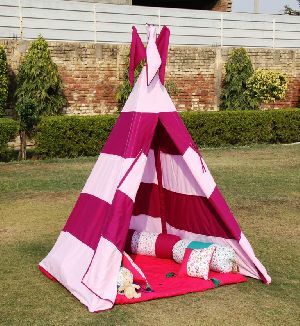 We are known as a chief Children Camping Tents Manufacturer, Exporter, and Supplier, based in India. 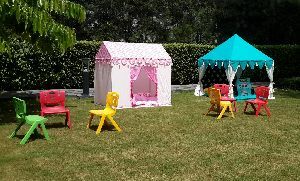 The Children Camping Tents is ideal for kids for their birthday parties, festival parties, etc. 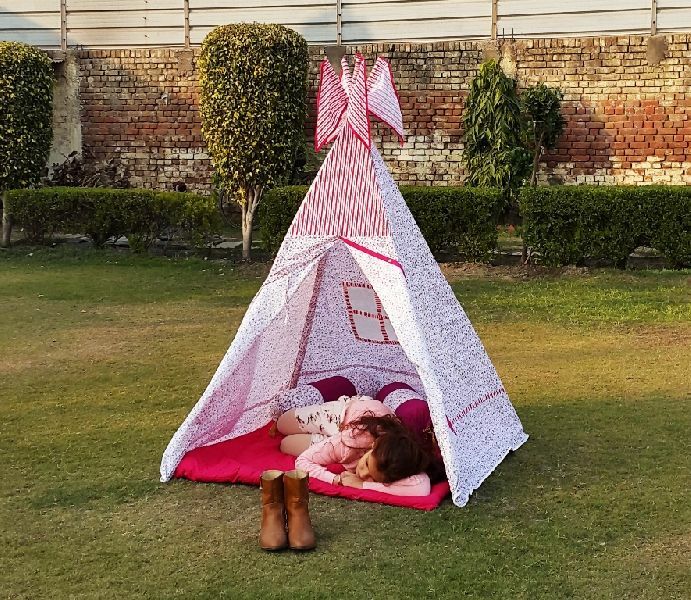 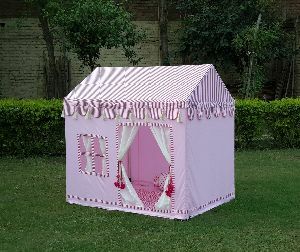 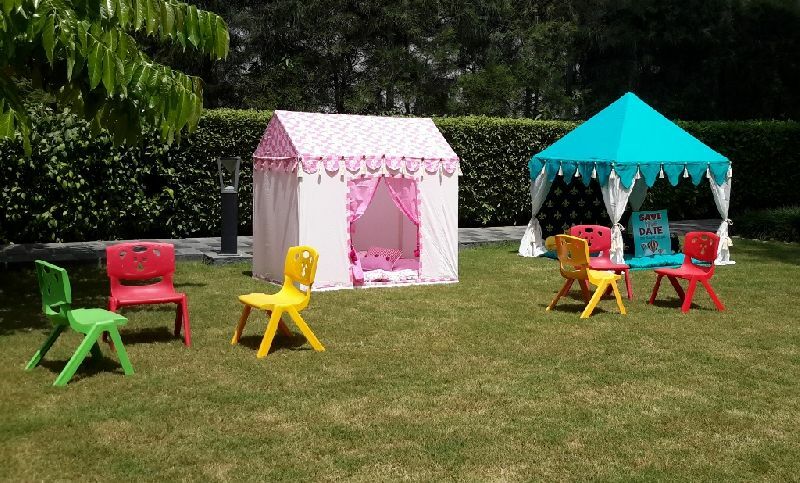 Designed in cute designs and vibrant colors, our Children Camping Tents are loved by kids. 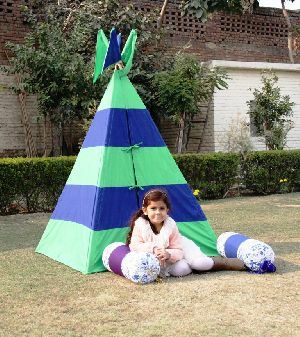 The Children Camping Tents Tents is provided at the most competitive prices. Round in shape, it is made up of two layers, outer of water repellent cotton canvas in alternating stripes of 3 colors and inner of printed cotton sheeting. 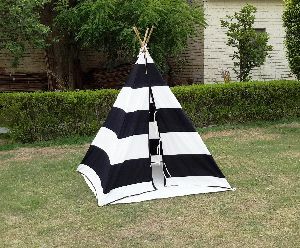 Complete with all accessories, Bamboo poles, cotton ropes, wooden pegs, and wooden hammer. This is a Hut shaped Tent. 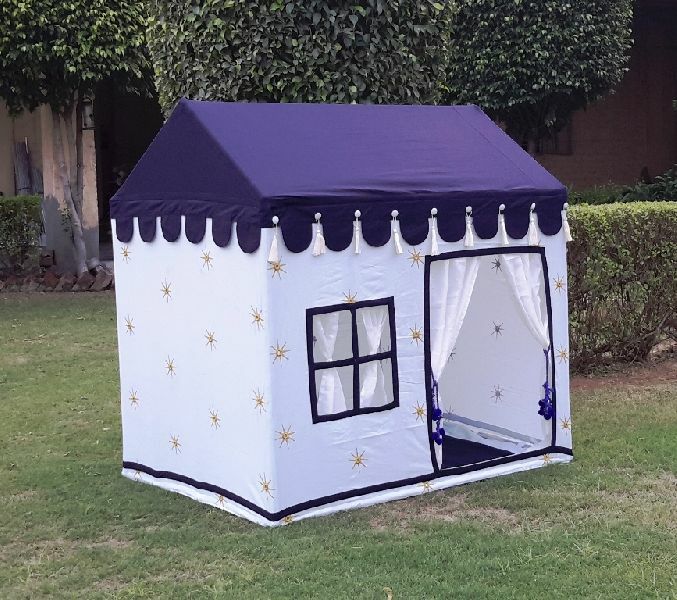 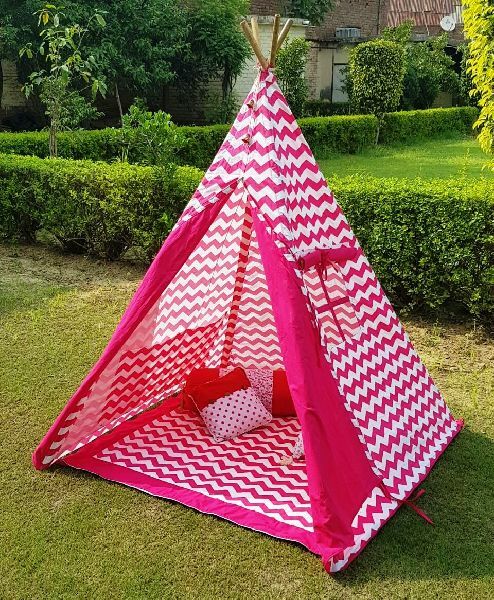 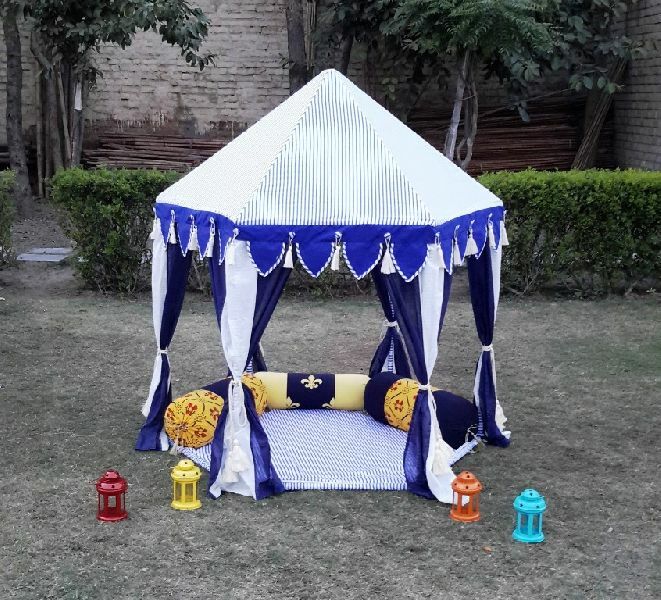 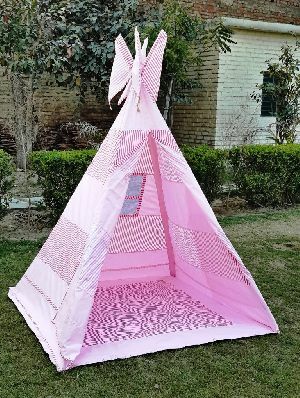 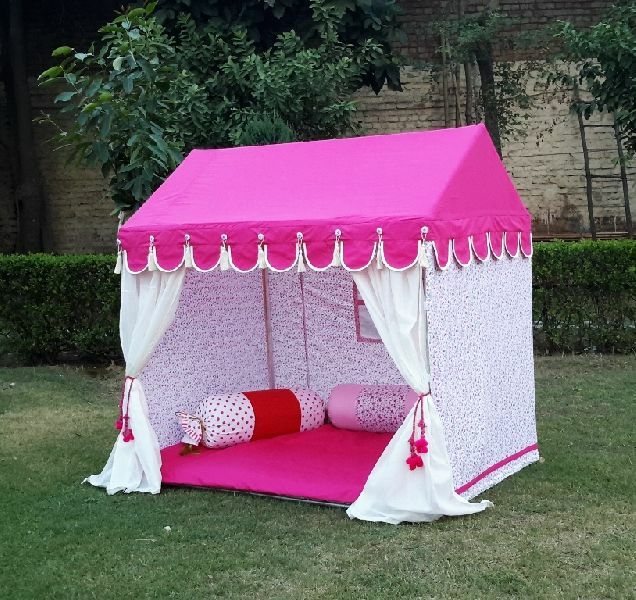 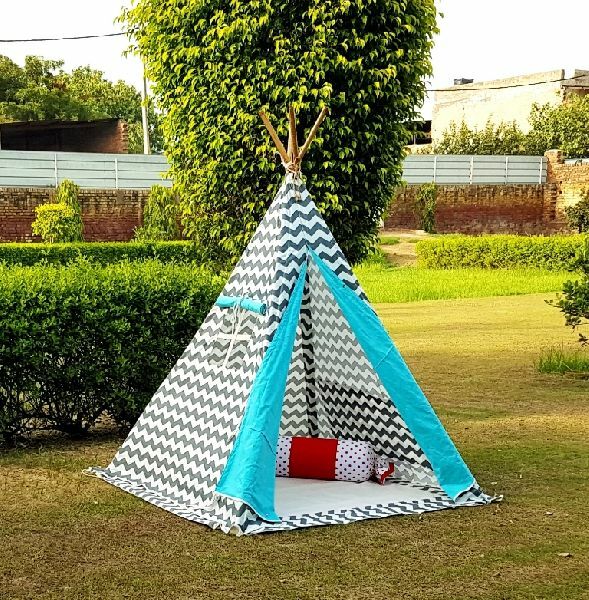 The Tent top is made up of two layers, Outer of water-repellent Cotton Canvas in natural color, with lining of Printed or plain cotton sheeting, with a Zip or flap door. It is erected on Frame.